We are in the midst of a significant shift in pharmaceutical drug development, with many leading companies focusing increasingly on orphan drugs targeted at small niche markets. An orphan disease is a medical condition or disorder that affects less than 200,000 people in the US. The National Institutes of Health (NIH) has classified as many as 7,000 medical conditions as orphan diseases. Although a rare disease affects only a small population, the collective number of rare diseases affects as many as 25 million people. This mammoth-sized number of people requiring niche drugs is a serious public health concern. Examples of well-known orphan diseases include cystic fibrosis, Lou Gehrig’s disease, Tourette syndrome, Hamburger disease, and Job syndrome. One of the biggest challenges that people with orphan diseases face is that physicians find it difficult to diagnose or treat their medical condition. This occurs partly due to a lack of understanding or in-depth research of the disease. Sometimes there are no cures and doctors resort to only treating the symptoms. In the past, pharma companies avoided manufacturing niche drugs because it was not logical to use limited resources for such a small population. However, with the advent of the 1983 Orphan Drug Act, the US government intervened by making it cost-worthy for pharma companies to develop these niche drugs. Today, pharma companies have a lot to gain by developing drugs for rare diseases. Evaluate Pharma’s Orphan Drug 2018 Report forecasts an 11 percent per annum market growth for orphan drugs, which could result in a worldwide profit of $262 billion by 2024. One major benefit of developing niche drugs is the cost savings. According to the 1983 Orphan Drug Act, pharmaceutical companies selling orphan drugs have market exclusivity for seven years, which translates to great cost savings for the development of niche drugs. The Orphan Drug Act also provides financial benefits, such as tax incentives. In addition, the FDA plays a huge role in ensuring that research for rare diseases is fully funded. Some of the roles of the FDA include inviting sponsors to create open protocols and awarding special grants for the development of orphan drugs. Another great benefit that pharma companies can get from developing niche drugs is a reduced cost of marketing and advertising. Because of their massive audience sizes, the costs to market and advertise mainstream drugs are significantly higher than the costs to promote orphan drugs. Adding to the list of benefits is the fact that niche drugs typically have a high price that drives a lot of revenue despite the small target population. Take, for example, Alexion’s Soliris, the most expensive drug in the US at $18,000 per dose and $500,000 per year. Soliris is currently the only therapy approved for the treatment of hemolysis in patients with paroxysmal nocturnal hemoglobinuria (PNH). Soliris is also used for the treatment of atypical hemolytic uremic syndrome (aHUS). Gilead’s Sovaldi for the treatment of Hepatitis C is another example of a high-priced niche drug. It costs patients $84,000 to use Sovaldi over a 12-week treatment period—in other words, $1,000 per day. Yet another orphan drug high on the list of costly medications is Vertex Pharmaceuticals’ Orkambi, which is used for treating cystic fibrosis. Orkambi is sold for $272,000 per year. Because of these benefits, big pharma companies are increasingly buying into the development of orphan drugs. In 2010, the top ten orphan drugs were all sold by big pharma companies, such as Celgene, Roche, Teva, Bristol-Myers Squibb, Biogen, AbbVie, Amgen, and Novartis. Despite the increasing growth of niche drugs, because an orphan drug’s total market may only be 200,000 patients or even less, a major challenge can be finding enough people to participate in clinical trials. However, there is a solution, and it comes in the form of AI. AI can help in two ways. First, AI can help to better identify key influencers who can more effectively recruit patients for trials. Key influencers have strong relationships of trust and large followings that give them a unique level of personal influence amongst their peers and target populations. Second, AI can help researchers make better use of the full range of biomedical data that is available to them by structuring raw, unstructured data points (i.e. doctor’s notes, lab results, and medical scan images) for a more effective analysis. Better analysis can contribute to better clinical trial design and execution, boosting trial success rates. Blockchain can also increase the development of orphan drugs by providing a secure platform for knowledge sharing among pharma researchers in this niche. Knowledge sharing is powerful because by learning from their colleagues, pharma researchers won’t need to waste time and resources performing duplicative work. Real-time access to data is incredibly important for the discovery of novel orphan drugs because researchers can instantly see what works and what doesn’t. This means pharma researchers can potentially reach the large populations of people currently living with rare diseases and disorders at a more rapid pace. In order to remain competitive and profitable, pharma companies of the future will need to focus increasingly on niche and rare diseases. 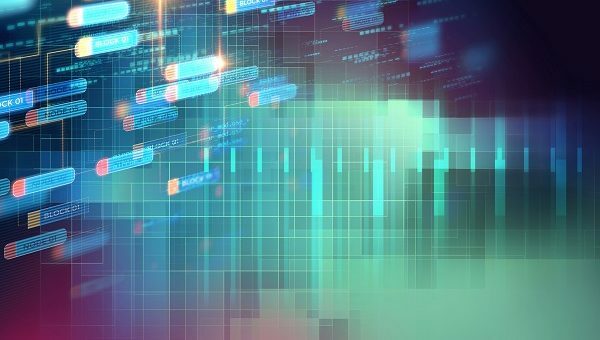 Furthermore, pharma companies that use AI and blockchain to solve the biggest challenges in orphan drug development will have the competitive edge. 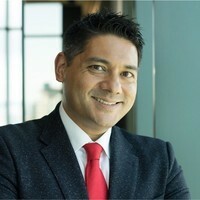 Lawrence Ganti is the Global President of Life Sciences, CEO of Innoplexus Americas, and member of the Global Executive Community. Prior to joining Innoplexus, an artificial intelligence based data analytics firm specialising in life sciences, Lawrence spent 15 years leading teams across functions and geographies in the pharmaceutical industry. He also worked as a research associate for McKinsey & Company and holds an MBA from IMD in Switzerland and a bachelors from Babson College in the United States.